Welcome a new you in 2019 with fitness exercise classes in Phoenix, AZ. Have you been wanting to make some changes in your life? If so, think healthy and begin getting into better shape over the next 12 months and watch your physical and mental health improve. Making small changes go a long way toward achieving big goals. 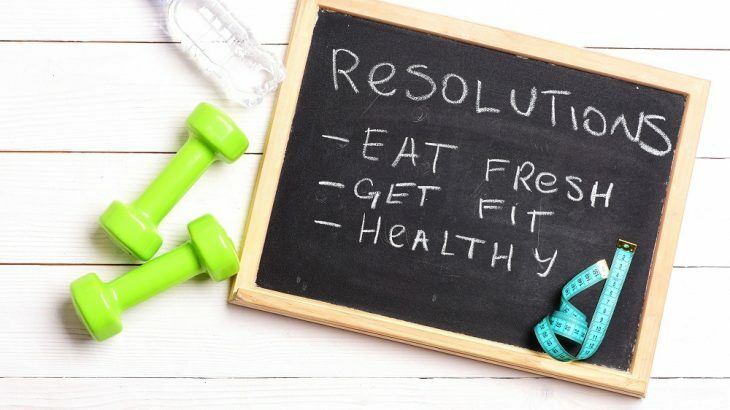 Here are 5 simple resolutions for a happier and healthier 2019. You can’t be your best self, physically or emotionally, when you’re walking around like a zombie all day. If you’re having trouble sleeping, why not attend some high-energy exercise classes at a local fitness center in Phoenix, AZ? Although, exercise seems counter-productive to sleep, it’s a great sleeping aid. When you work out hard enough, your body craves time to recover. People who work out regularly find that they sleep sounder and longer. Do you spend too much time during the day dealing with lower back pain, stiff joints, or achy muscles? When medical reasons are ruled out, these are often symptoms of a body that’s not getting enough TLC. Incorporating daily stretching into your life is a great way to feel better faster. For maximum benefits, visit a fitness club in Phoenix, AZ, and sign up for a yoga class. Enjoy how your body feels after a good stretch. Looking for more ways to burn fat? Add weights to your workout. Muscle burns more fat at a faster rate than cardio alone. So, why don’t more people use weights? Well, there’s many misconceptions about weight lifting. A lot of people are afraid to use weights because they think they’ll get too big or that they’re not strong enough. These are all myths. If you’re planning on adding weights to your routine, stop by local fitness clubs in Phoenix, AZ, and schedule an appointment with a personal trainer. Learn how to safely use weights and which exercises help you achieve desired results. If you’re getting most of your fluids from coffee or soda throughout the day, you’re probably not feeling your best. A well-functioning body needs to be hydrated. Caffeinated drinks keep you in a flight or fight mode all day, which make it harder to get restful sleep, and cause mental fog. For a clearer head and healthy body, aim to drink more water in 2019. Ideally, you want to drink as many ounces each day that equal half your body weight. Start off with drinking 10% more than you normally do each day and work your way up to half your body weight. If you’re serious about getting healthier in 2019, you must make time for fitness and more importantly, yourself. Check out Mountainside Fitness to see all their amenities and wide variety of exercise classes in Phoenix, AZ, to find what works with your schedule and your interests.